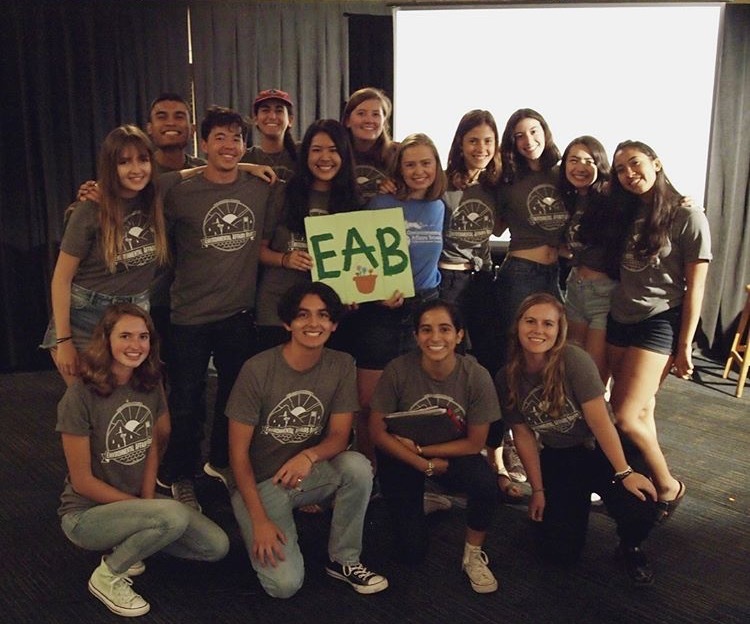 Environmental Affairs Board (EAB) is a branch of UCSB’s Associated Students and is the largest environmental group on campus. EAB strives to protect, preserve and enhance the environment, principally at UCSB and its surrounding communities. We focus on ecology, energy, food, climate change, water policy and conservation, the economy, environmental justice and other issues. We coordinate with other groups to promote environmental perspectives and sustainability throughout the university and at the local and statewide levels. See our campaigns for more on the projects we’re currently running. Any UCSB student can join EAB! Just come to a meeting, volunteer event, or social activity, and you’re in! While we encourage members to attend our weekly meetings, this is not necessary for membership. We appreciate and welcome whatever level of commitment your schedule permits, and we strive to support our members through friendship, leadership development, service, and fun. Come out and experience the many aspects of environmentalism with us! Meetings are held every Wednesday at 7 PM. To keep updated on EAB’s activities and any schedule changes, please sign up for our weekly newsletter. Check out these helpful guidelines for help in following the AS Sustainability Policy.